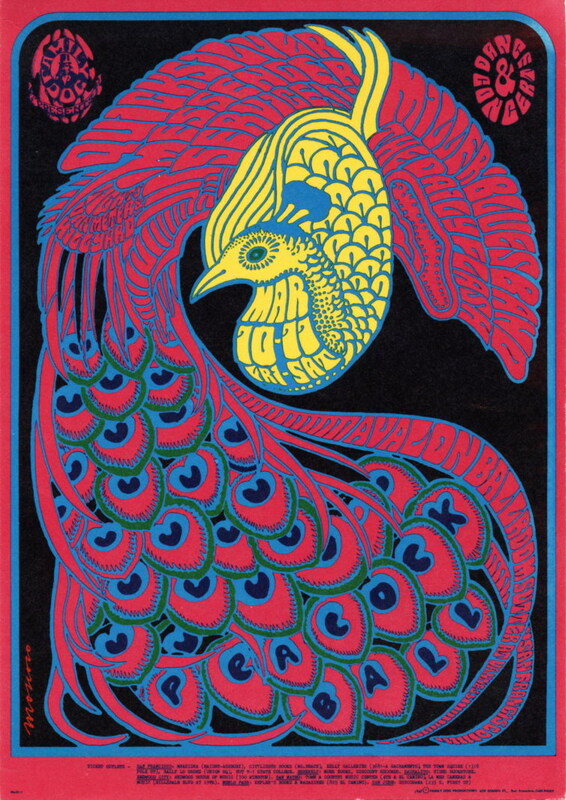 Allthough Wes Wilson is seen as the father of the psychedelic rock poster, the poster art of Victor Moscoso stands for me as the archetypal expression of the hippie era. 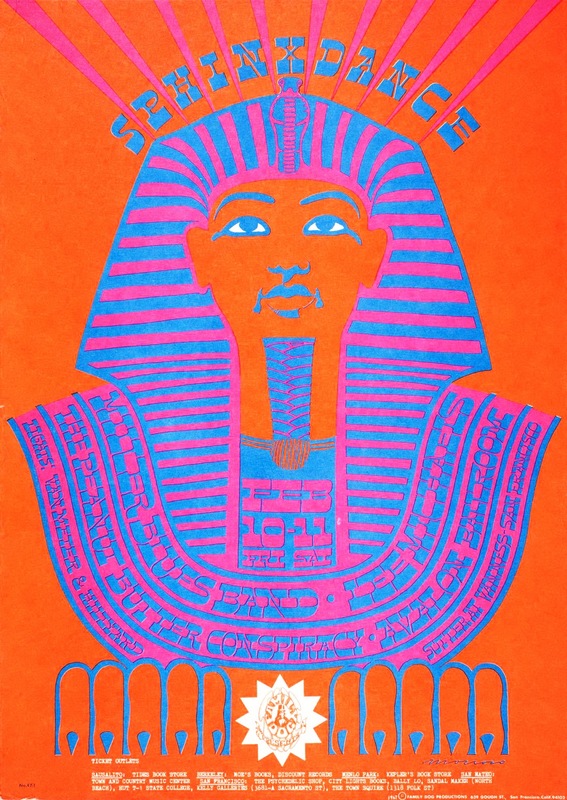 With vibrating colours and psychedelic imagery, his posters take you straight back to that special vibe of the late 1960s San Fransisco. Victor Moscoso was born in Spain in 1937, but moved with his family to Brooklyn, New York three years later, where he spent most of his youth and childhood. He went on to study art at Yale under the supervision of Josef Albers, whose color theory later became an important inspiration for him. Jack Kerouac’s On the Road was a motivating factor for Moscoso to move on to California and San Fransisco in 1959. 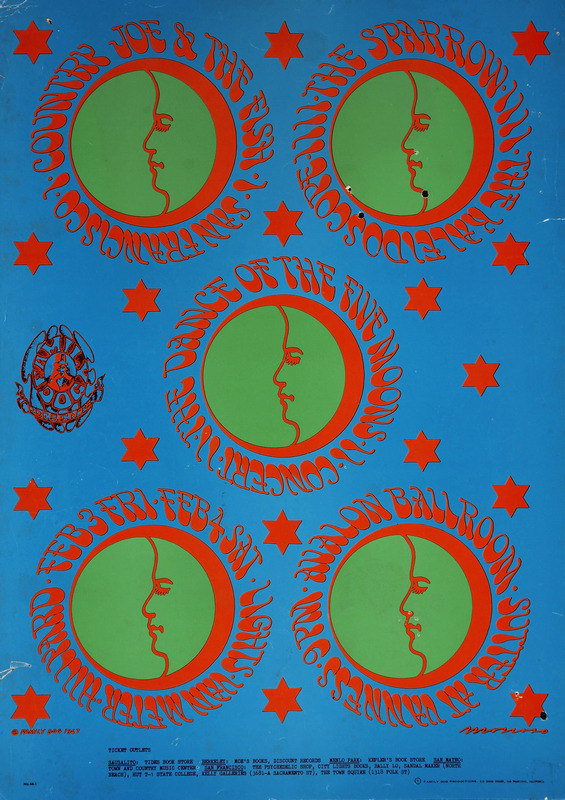 But it wasn’t until 1967 with the Summer of Love that Victor Moscoso rose to international fame, with his posters for the Avalon Ballroom (whose concerts featured artists such as Janis Joplin and the Doors). There is an excellent interview with him at The Comics Journal, for those who would like to read more about his fascinating life and refreshing take on art. 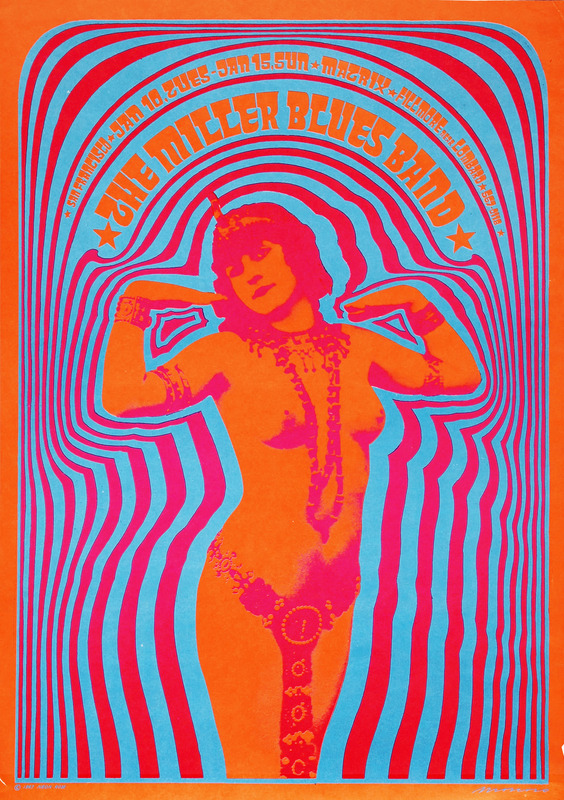 Victor Moscoso is still active as an artist. Yellow Magic Orchestra are less known than their German contemporaries Kraftwerk, but they were no less important in shaping the synthpop of the eighties and in turn electronic music as we know it today. Rydeen is one of the highlights from their second album, Solid State Survivor, mixing disco with eastern musical elements. It’s an energetic and uptempo tune, which also showcases their pioneering use of synthesizers, sequencers and drum machines. Although the music video may look simple to our modern eyes, it must have been pretty advanced for it’s time.